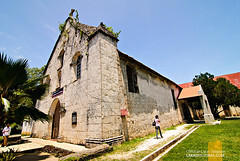 Siquijor is an island province located at the Central Visayas Region of the Philippines. 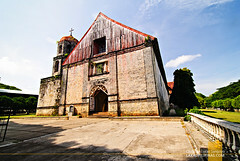 It is composed of six towns; Enrique Villanueva, Larena, Lazi, Maria, San Juan and Siquijor. 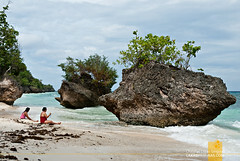 The island is bordered on the northwest by Cebu and Negros islands, on the northeast by Bohol, and on the south by the northern Mindanao provinces of Misamis Occidental (Dapitan) and Zamboanga del Norte (Dipolog). Often dubbed as, the Isla del Fuego (the island of fire) due to the glow it gives off during sundown as multitude of fireflies gather on the molave trees off the island, it is a place of mystery and mysticism especially for older generations who believes in witchcraft and sorcery. 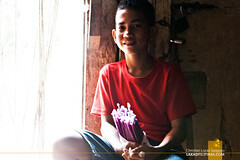 And indeed, the said practice is still being observed in Siquijor, albeit on a less prevalent scale as it was before. 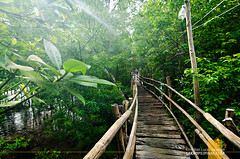 I find that most people would look strangely on you if you mention that you’re traveling to Siquijor, the island having its reputation with the black arts, but once you get pass that—and it is really not a problem when on the island itself—the place would reward you with amazing tourist spots such as pristine beaches, amazing waterfalls, lush hiking trails, centuries old stone churches, and yes, even the sweetest people. Being an island, the only way to get to Siquijor is by ferry, the main hub of which is located an hour away at the port of Dumaguete City. Most people outside of the region fly to the Dumaguete-Sibulan Airport, which is just a few minutes away from the port going to Siquijor. For international travelers, Cebu—with flights coming in from Hong Kong, Japan, Singapore and Taiwan, would be the easiest way to get in. From the Mactan-Cebu International Airport, one can then head over to Cebu Pier where ferries sail directly to Siquijor everyday. Public transportation isn’t the easiest in Siquijor. The common mode of transportation is the habal-habal (motorbike) which you simple flag down on the highway. This is convenient and cheap when you’re without companions and without any luggage, but if you throw in a backpack and a suitcase, then things begin to get more complicated. 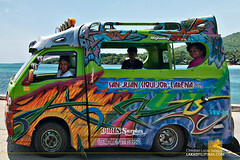 There are also multi-cabs that ply the highways of Siquijor, but these are few and far between. The best way to see Siquijor is to hire a tour guide (with vehicle) that would show you around the island’s tourist spots. 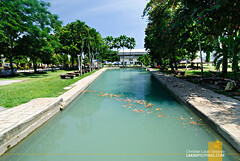 If you haven’t booked a guide yet, there are numerous ones right by the port gate which would offer you their services. The rates, which are per vehicle, are standardized throughout the island, so you won’t have to worry about getting ripped off. 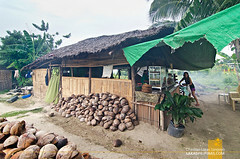 Siquijoranons, as the locals in Siquijor are often called, are fluent in Filipino and English. Their main language is Cebuano. Here are a few words and phrases you can use to charm the locals when on the island. Siquijor is still fairly new to tourism, although the past years have seen huge growths in the influx of international visitors from Asia and Europe. With this, development on the island is starting to grow, especially on the upscale side of the market. 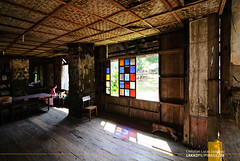 Still, backpacker and mid-range accommodations are still common in Siquijor, the cheapest of which would set you back only PHP400.00 a night. During my first visit to Siquijor half a decade ago, there are hardly any high-end restaurants and bars on the island except those inside luxury resorts. 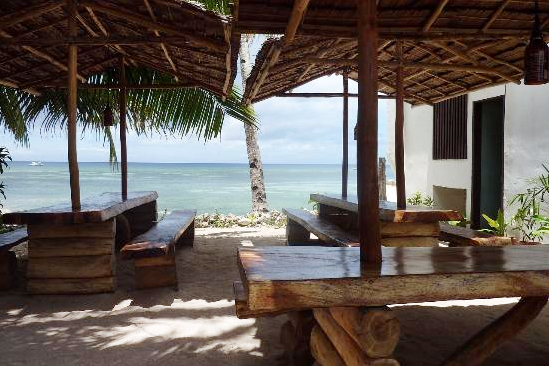 Now, with the advent of tourism in Siquijor, international restaurants have started sprouting up along the roadways, side by side with the more affordable carinderia and eateries. As for Siquijoran specialties, look around for pastel, a packed rice and viand take away, and pan bisaya, which is served at Lilibeth’s in the town of Enrique Villanueva. 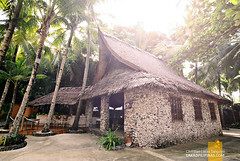 Siquijor is blessed with all sorts of tourist spots packed in one easy to explore compact package. It has two known waterfalls, several pristine beaches, marine sanctuaries, diving spots, hiking grounds, mangrove parks, natural springs, mystical sites, heritage churches. 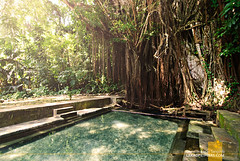 You name it, Siquijor probably has it! 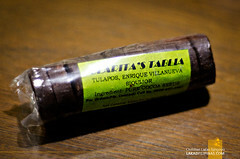 In terms of food, there’s probably not much you can bring back home as gifts or pasalubong (you can get those in Dumaguete, though). 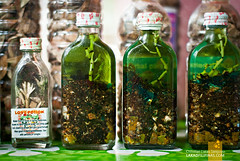 But if you really want a unique keepsake and memento, then pass over the usual ref magnets and keychains and buy yourself a bottle of gayuma (love potion) and other oily concoctions for ailments as well. There’s no guarantee it would work, but the packaging and the oddness of it is worthy enough of your money. 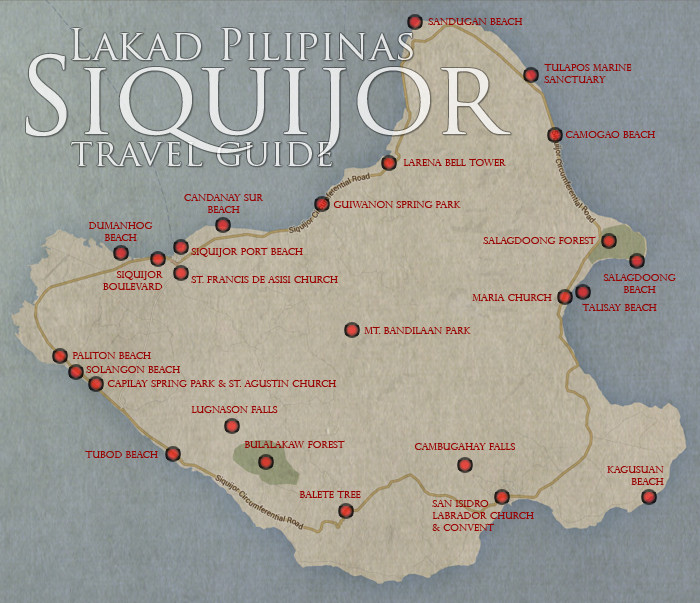 Siquijor is not an expensive place to travel into. If you can rough it out, it gets even cheaper. Most of your budget would really go to the island tour, which is not expensive in itself, especially if you have a lot of companions to share it with. Lodging is also cheap, especially when shared. While there are a few luxury resorts in Siquijor where you can splurge, this budget is the absolute minimum a single traveler and a two-person traveler can spend overnight while on the island, including the RORO transfer from Dumaguete City. PHP75.00 - Average cost of a meal per person on a carinderia. 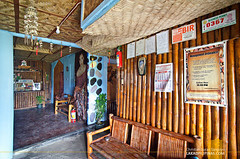 It is absolutely doable to tour Siquijor in one single day, just take the earliest RORO. 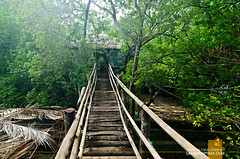 Or even if you take the midday one, you can still do a daytour of Siquijor, provided that you pass over some sites. 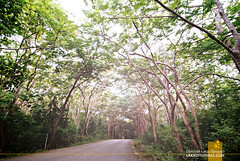 But the best way to enjoy the island is to travel slow; stay overnight, or better yet, stay for a week! The beaches of Siquijor are worthy of a seven-day stay. EN ROUTE BACK TO THE PIER FROM YOUR RESORT. Hi. Do you have the sail time schedule of the ferries? Is it true na wala na dawng iligan to siquijor na ferry? Sayang naman kung ganoon. Hi Ray, really? That's sad then. As far as I know, it is the only ferry that connects Mindanao directly to Siquijor. Thank you, Raymund! Enjoy Siquijor! Is there a fire dance every night or yhe famous paper dolls show? Hi Sheb, I haven't personally seen a fire dance and paper dolls show in Siquijor. Where is this held? hi. christian. 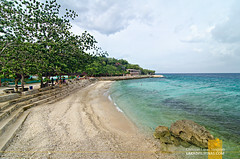 may trip kami to cebu from dvo jan. 25. to 30. we want to go to bantayan, bohol, siquijor. makakaya ba ng time namin? 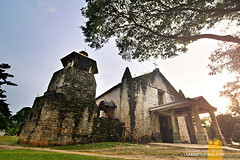 ang bohol is day tour lng. 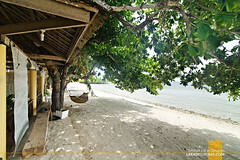 sa bantayan naman we will spend 1 night. kaya pa ba ng time mag siquijor? we will arrive at cebu by 2pm. ang flight back to dvo naman namin is 30 at 3pm.ano ba mas madali, via tagbilaran kami to siquijor or cebu-siquijor? Hi Cindy, Tagbilaran is closer to Siquijor, about three hours travel time via ferry. I suggest that after your Bohol day tour, head straight to Siquijor. Hi so u know the cost for ferry iligan to siquijor? hi, what time did you arrive in Siquijor? can we tour it for a day if we arrive at 10am? Hi Christian, what time did you start and end of your tour? Cos we are olanning to do it in a day tour then going back to dumaguete same day. I just want to know if its possible to make it in a day. Please reply. Thanks! Thank you! 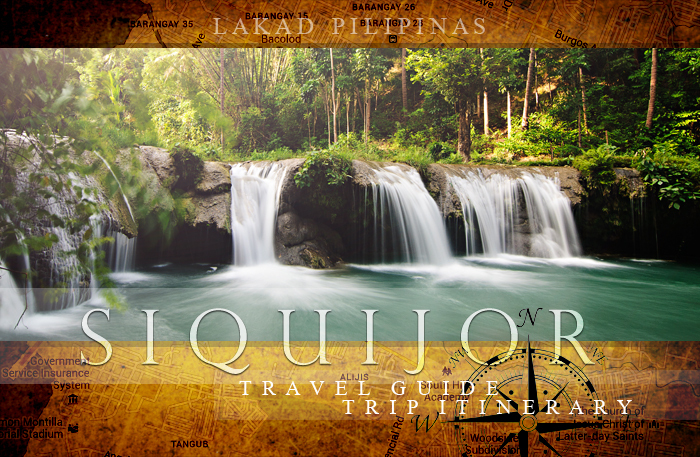 Let me know how your Siquijor trip goes! 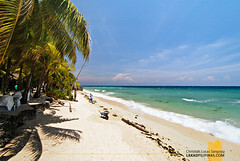 Hello Chris can you suggest a place or hotel with a nice beach front that is affordable as well? Hello Christian. 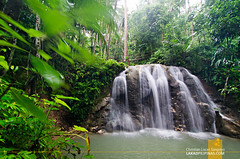 I have guests that are inquiring about doing a waterfall tour around the Larena area. 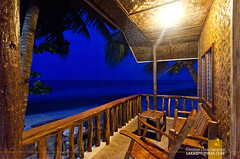 I am not familiar at all with Larena, or Siquijor for that matter, but would like to be able to accommodate my guests. I tried to search online for waterfall tours in the area, but came up with nothing. I would appreciate any guidance you can provide. Oh wow, I haven't heard of that waterfalls yet! 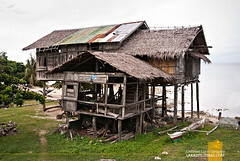 i with some friends (7 at most) will be going there this June 9-11. where can u suggest a budget place to stay? will try to follow your suggested itinerary posted above. thank you so much for this.. very helpful! 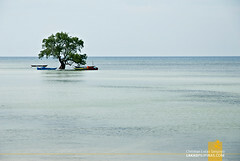 Hi..i am resident on the island..my father is a tourist driver..if you can drive the motorcycle..you can rent ranging 250 to 350..if you want a guide i can.dont worry im a kind guy..im a seaman by profession.i can show you around.Just buy gas for the motorcycle..hehe..tx me 09397411469..
Best place is san juan..but hotels range from 800 pesos up a nyt.but worth it..it also has the beach sunset..try going to other new attraction like lugnason falls or kamp aninipot..worth a try..believe me..im a resident who still feel awe such place exist in my province..
Is it true that there's a direct trip from cebu instead of going via dumaguete? No problem! Enjoy your Siquijor vacation! One of my guides at my DIY tour of Siquijor but there was hardly any mention of possibility of falling prey into thieves at different sites in the island. Tourists should be made aware they are not in Dumaguete anymore. I have read warning at Cambugahay falls so I was extra careful. Never thought I would lost my cap while eating torta and pandekoko at Lilibeth's Pan de Bisaya at Larena. So beware. Hi, I wasn't aware about these thieves, having no previous bad experience on the island. But I guess it's better to be on the safe side and always secure your things. Good morning! I'm going to siquijor this weekend. I've booked a room at treasure island for two days. If I am to pay a tricycle to bring me there for the port, do you have any idea how should I pay? Not sure about the price of tricycle going to Treasure Island. What I can recommend is that you contact the guides I posted on my blog so that your transportation would already be inclusive of their tours. 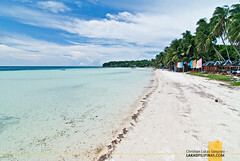 In December I want to visit Siquijor Island. 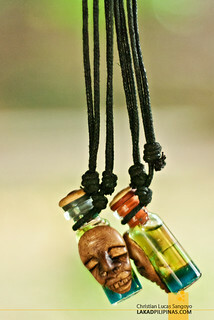 Can you recommend a local guide who will organize a two days trip "SHAMANS TRIP" ;) ...? 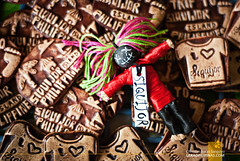 Hi Pawel, you may contact the guides I posted above for this trip. Hi! What month ka nagpunta sa siquijor? Malakas kaya ang alon sa last week of January? 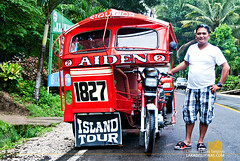 Hi Malayo, there are no cabs in Siquijor, the mode of transportation is by tricycle. I haven't actually tried taking a tricycle from Larena Port to San Juan, but if I have to guess, maybe around a hundred pesos? 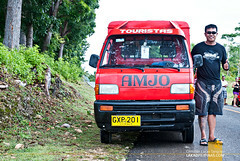 The best way to go about this is to perhaps charter the tricycle you'd be getting to do the day tour for you, so the trip going to San Juan would already be part of the payment for the tour. If you’re coming from the beach Lugnason falls is the perfect place to cool down. We were the only ones in the area when we visited and got the whole place to ourselves. The basin is very swim-able, with waters very cool, clear and blue. It’s around 5-6 ft. deep but gets deeper in the middle. Locals would climb up the limestone walls and jump. You could also take your lunch here. There are tables and small cottages available for groups.